Praised by the New York Times for her “splendid playing”, 28 year old Natalie Kress has already begun a successful career as a violinist; highlights of which include performing at the Kennedy Center Honors with Yo Yo Ma in 2016; winning the 2012 Jules C. Reiner Violin Prize from the Tanglewood Music Center; as well as performances at Carnegie Hall. Natalie received her Bachelor's of Arts in Music and Psychology and Master’s in Music from Stony Brook University (where she studied with Soovin Kim) and is co-Artistic Director of Three Village Chamber Players which performs free chamber music and outreach concerts throughout Long Island and New York State (3vcp.org). 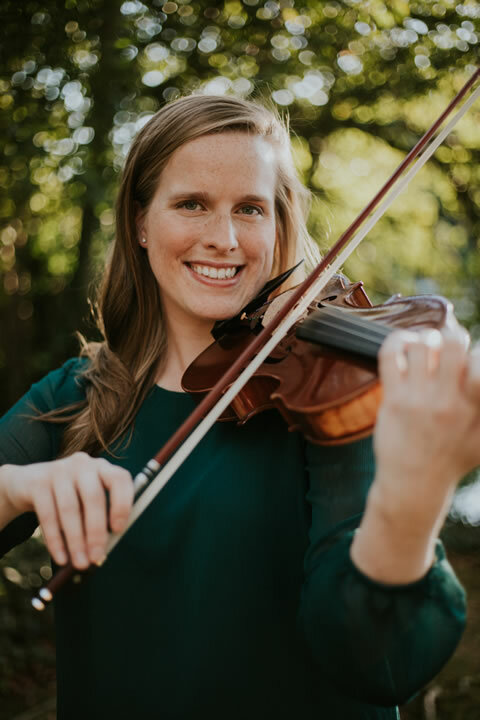 As a baroque violinist Natalie studies with Beth Wenstrom and has performed with Boston's Handel and Haydn Society, Grand Harmonie, Stony Brook Baroque, Shanghai Camerata, Long Island Baroque Ensemble, and New Trinity Baroque.